the barca van orton went as well?? Yep. Think it was $120. And the original drop they were only $90. Guess they wanted to make a little extra off the extras they had left over. I am almost glad I didn't get through in time, I saw that it was $150 and was like "Wait, what??" But if I'd gotten it in my cart I probably would have bought it and freaked out later. Probably best I didn't have a prayer of getting it. But it is really weird that the version signed by a BAND MEMBER is 33% CHEAPER! Hilarious. 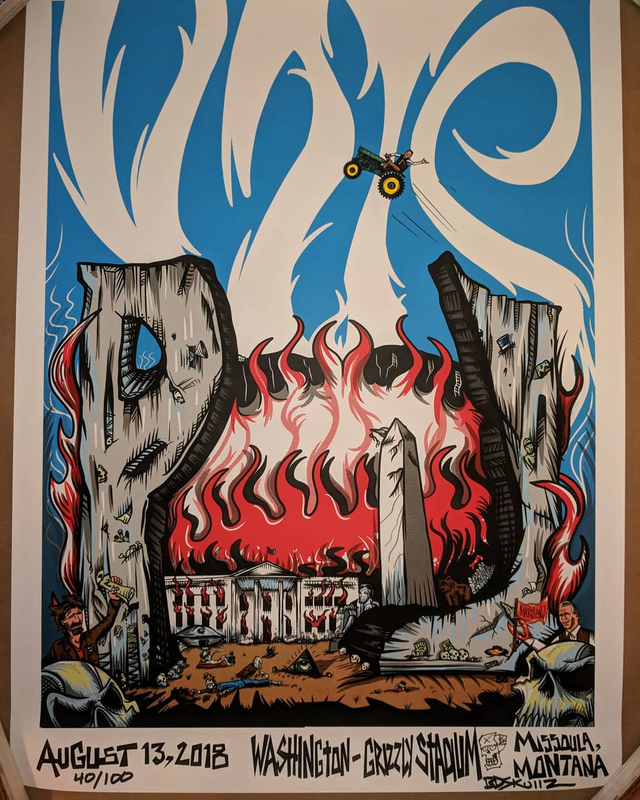 This was a poster that no one wanted at the show.. it has a little pub in the news and its a grail now for some reason. I would guess that the show versions will be plentiful in the shop because they were not well liked at the show. But you never know, 10C may auction them off one by one to make a little extra bank. +1 for Missoula throwing up Barcelona at same time was sneaky. Same here. Easiest AP drop ever. 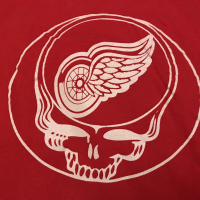 Gifting it to an old friend who went to the show but couldn't get a poster. I could never keep something from a show I didn't attend, doesnt feel right, like wearing someone else's shoes. The majority of my posters (20ish) are from show I didn't attend. I feel that the vast majority of gig posters are unattractive; hence, I look for the postera I like. To each their own. I have no problems with the message, but it's just not that great of a poster. I picked up one at the show because I was there only, but it's definitely 'meh'. 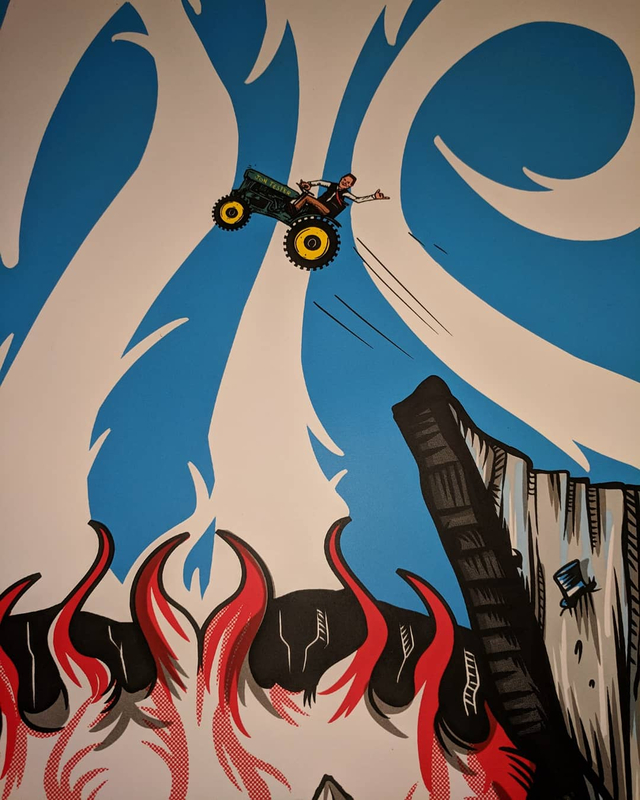 The flying tractor makes it goofy to me. 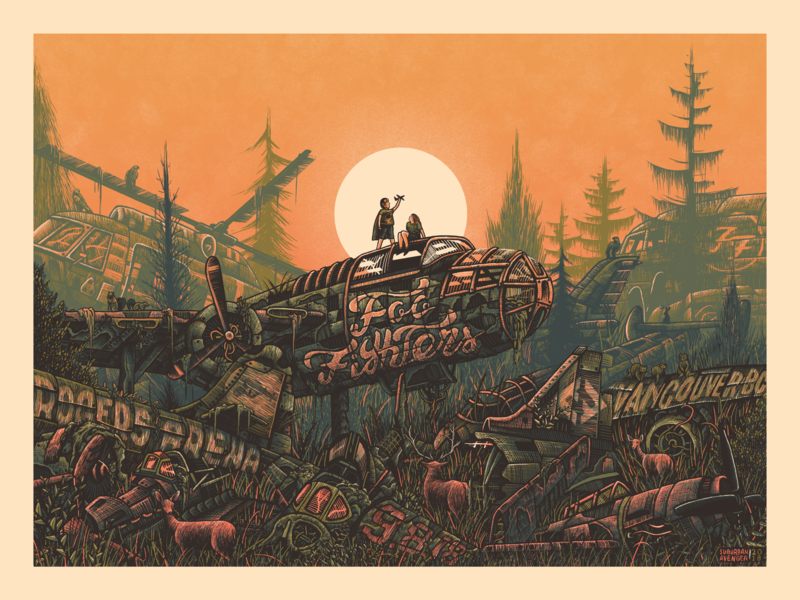 Missoula S/N prints shipped out from F4D Studios. Arrived in GA. Such a statement about where we are as a country. So powerful. I will be framing mine! 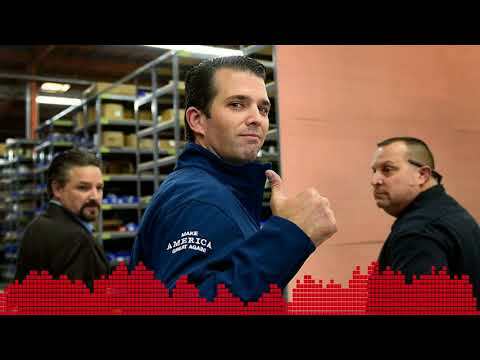 "Trump Jr. Calls Tester a Liar and a Lapdog, Responds to Pearl Jam Poster"
daddy "is crushing it"! Hahaha, LOL! whats the ranking of the posters for 2018? 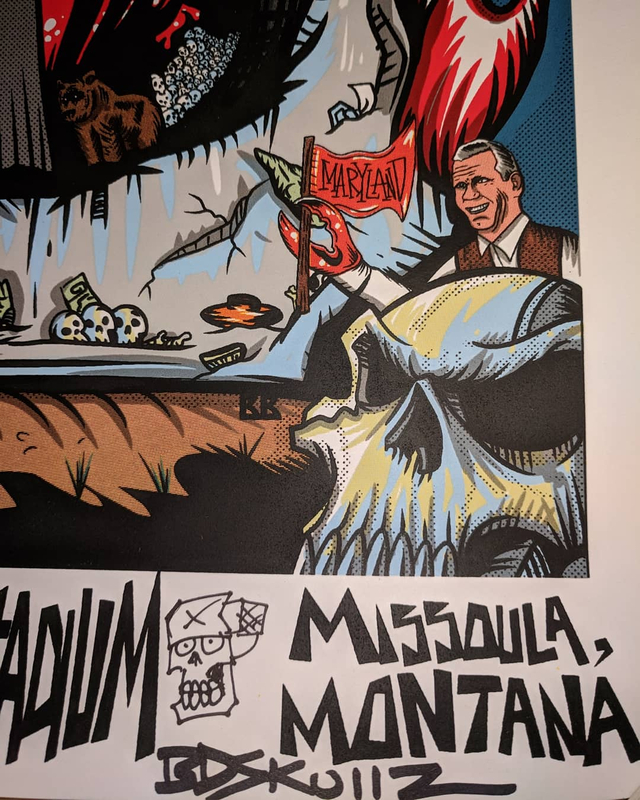 As a not too avid poster collector my opinion is probably not the consensus but I think that even though Mumford Boston, Brown Boston, and Padove were spectacular prints, the Ament/bones signed Missoula given the politics behind it will probably be at the top, right? Wrong? 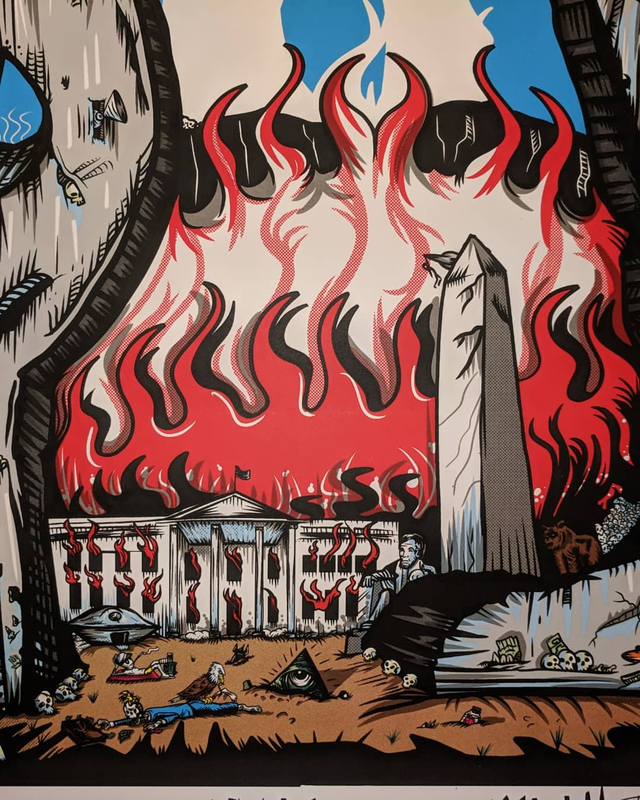 This was the best poster of the summer tours, IMO. I liked Grohl when he was with his original band... funny that you mentioned them. I'd have to say Padova, Mumford Boston or Thomas Chicago were the best of the tour. Krakow was good, although it was more like the type you'd see at a DMB show than a PJ one. Yes!! That’s a great shirt! Just curious... what about the Foo Fighters is a complete joke? I always felt that Dave Grohl earned everything he had. When the Foo Fighters started, they didn't immediately go to playing arena's/stadium's. I remember seeing them touring for their 2nd album (Colour and the Shape) in '97 and they were playing the rec centre at the University of British Columbia. It held something like 1000 people (and that album felt big at the time). Then again '98 at a Canadian festival called Edgefest, but they were so small they were playing an early afternoon set (before Green Day and a bunch of Canadian Rock bands). Then in 2000 opening for RHCP. It wasn't until after that I think they started to be able to sellout arena's on a consistent basic. It took a lot of touring and few albums under their belt. They didn't start big, they worked their way to it. I think Nirvana gave Grohl an initial push, but he had to take that torch and turn it into a bonfire. It took them a while to get big. I imagine there was a point where people started to think of Dave Grohl as the singer from Foo Fighters, and not immediately think of him as the drummer from Nirvana. I bet that's point where they kind of made it. I agree mostly with the rest. I like the Foo Fighters but there's only 3 albums I love front to back. 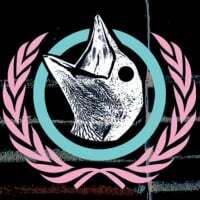 The rest have a few songs on every album I like. It's ok that they do the the more common thing of playing the same setlist every night. They have enough songs that I thoroughly enjoy a greatest hits kind of setlist, but only so much I only see a show every few tours. I don't like the Foo Fighters much. But I sure like that Vancouver poster. 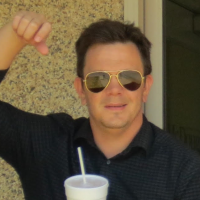 Two thumbs up. 11-2-2000 Portland. 12-8-2002 Seattle. 4-18-2003 Nashville. 5-30-2003 Vancouver. 10-25-2003 Bridge School. 9-2-2005 Vancouver. 7-6-2006 Las Vegas. 7-20-2006 Portland. 7-22-2006 Gorge. 9-21-2009 Seattle. 9-22-2009 Seattle. 9-26-2009 Ridgefield. 9-25-2011 Vancouver. 11-29-2013 Portland. 10-16-2014 Detroit. 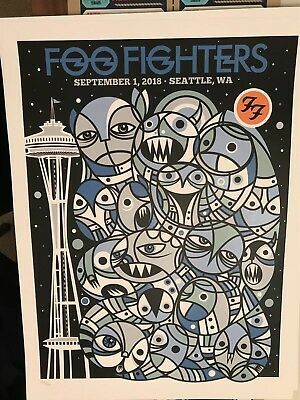 8-8-2018 Seattle. 8-10-2018 Seattle. 8-13-2018 Missoula. good point about FF. I remember a low point in 98 when they co-headlined with that awful band Tonic in some cities because they just couldn't pull enough fans. I think Howard Stern deserves as much credit as anyone for breaking them with that acoustic version of "EVERLONG". There is a raffle happening right now for this poster on Lost Dogs. Proceeds to go to Sick Kids Hospital. Signed Jeff & Bobby print from 10club shipped out! That’s cool! I thought they weren’t shipping until October or something.